Choosing a family vehicle can be an absolute nightmare with most family cars being tuned for efficiency, not performance. Often, models in this market segment have dreary acceleration and absolutely zero street cred when it comes to style options. Family cars need to be big – which means they are often designed to look like boxes and usually have deplorable dynamics. Ideally they need higher than normal ground clearance to be able to handle the occasional trip away or urban driving under full passenger load. Usually this translates to terrifying amounts of body roll when cornering. There is however, one car that seems to have it all – space, comfort, oodles of presence, looks fabulous and goes like a rocket. And to top it off doesn’t break the bank. The BMW X5 may just be the best family car in the world. Find out more about this sublime automobile in our exclusive review below. The BMW is probably the best looking four wheeled seven seater vehicle (5 adults, 2 kids). The front end is dominated by signature BMW headlamps and 2-oval grill. The bonnet is set pretty high – lending an intimidating, purposeful look to the vehicle. The shoulder line ascends as it goes to the back of the car; however, the roofline does not slope down in a fastback fashion – ensuring that the mid and rear row passengers get plenty of headroom. The rear end is not as impressive as the front but it is not hideous either – as is the case with several other 7 seaters. It looks neat and tight and what it lacks in visual flair, it more than makes up with a big BMW badge! The X5 M, which will hit Australian soil in 2016, gets an aerodynamic body kit and other sporty detailing. Overall, even without the extra kit, the BMW is quite a looker. It oozes class and elegance and feels aggressive – but not in a brutish, thuggish, rebellious manner – its aggression is more subtle. As expected, the interior is lavishly opulent! It has everything that you would want in a premium vehicle – you get swanky wooden panelling (not fake wood, this stuff is real! ), a panoramic sunroof and a sport leather steering wheel. The quality of materials is exquisite plus this car is loaded to the brim with new & advanced technology to the brim. However, be ready to cough up cash for the optional extras. BMW even charges you for options such as the full hands-free smartphone integration package, leather upholstery, driver assistance package, cold weather package and so on. The infotainment system is not as intuitive as we would like it to be – it is a bit complicated and takes getting used to – but thankfully, you will not need a degree in computer science to get the hang of it. The dashboard features horizontal lines to accentuate the sheer width of the cabin while the large windows and sunroof lend an airy feel to the interiors. You sit high up and get an excellent view of the road ahead – the experience is addictive and you would not want to drive a low-slung sedan again. The front bucket seats are heated – this feature is standard across all models. The middle row seats offer decent under-thigh support. As expected, the rear bench is best reserved for kids but it too gets rear air suspension! The BMW X5 delivers more than you expect – it never ceases to astound you. You get heads up display, optional textured aluminium trim for a fighter jet cockpit kind of experience and lots of other additions to make your driving experience pleasant and memorable. The interior trim can be customised to an extent and varies widely across the model range. 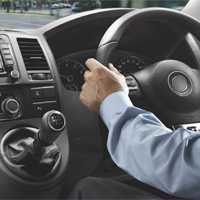 However, irrespective of whatever model you pick – the interiors always manage to put a smile on your face. If you can afford to, we suggest that you go for the X5 M – it has a 4.4l, turbocharged 8 cylinder engine that producing an incredible 423kw@6000 rpm and 750 Nm at just 2300 rpm! This 2.5 tonne, all-wheel drive monster goes from zero to sixty in 4.2 seconds flat! All engines of the BMW X5 are mated to a slick, 8 speed automatic transmission system. a 3 litre, turbocharged, 6 cylinder that manages 225kw@5800 rpm and 400nm@1200 rpm. The 4.4 litre turbocharged V8 makes 330kw@5500 rpm and 650nm@2000 rpm. The BMW X5 is available with a choice of 4 diesel engines. The 2 litre diesel makes 160kW@4400 rpm and 450nm@1500 rom. If you are environmentally conscious, you can pick the s-drive 250d model. It is a plug-in hybrid with the same 2 litre engine and an additional electric range of twenty miles. The 3 litre diesel (6 cylinders) churns out 190kW@4000 rpm and 560nm of torque at 1750 rpm. There is a more powerful version of this engine (40d) that produces 230kW@4400 rpm and 630nm @1500 rpm. At the top of the diesel range is the three litre M50d. It makes 280 kW of power at 4000rpm and a stupendous 740nm of torque @2000 rpm. The M50d hits 100kph in just 5.3 seconds! The BMW X5 gets an ANCAP safety rating of 5 stars. This is one of the safest cars on Australian roads. ABS, First Aid kit, Electronic brake distribution, brake assist, cornering headlights, dusk sensing headlamps, airbags and a lot of other features are included as standard drive features. Unfortunately the X5 is not particularly fuel efficient. The figures hover between 5.8 and 7 litres of fuel per 100 km – depending upon the model you choose! However, the X5 gets a massive 85 litre fuel tank – so despite the poor efficiency, you will not be stopping at fuel stations too frequently! This is not a cheap car. Prices for the base models begin at approximately 85,000 dollars. However, to its credit, the X5 boasts of rock solid reliability. You get a 3 three, 999,000 km warranty. While it is true that KIAs, Hondas and Toyotas are more fuel efficient and easier on the pocket, they simply cannot match the sheer pizazz and dynamics of the X5. Our recommendation : If you want a family car that is phenomenal to drive and gives you boasting rights – the BMW X5 makes a very compelling case!